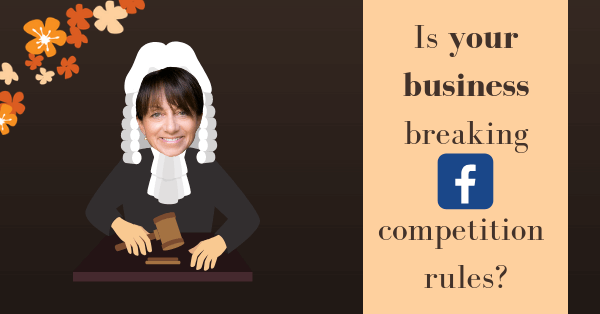 Facebook’s Competition Rules – are you breaking them? Many businesses, both small and large, run competitions on Facebook. Many are in breach of Facebook rules and you don’t want to risk Facebook removing your business page. 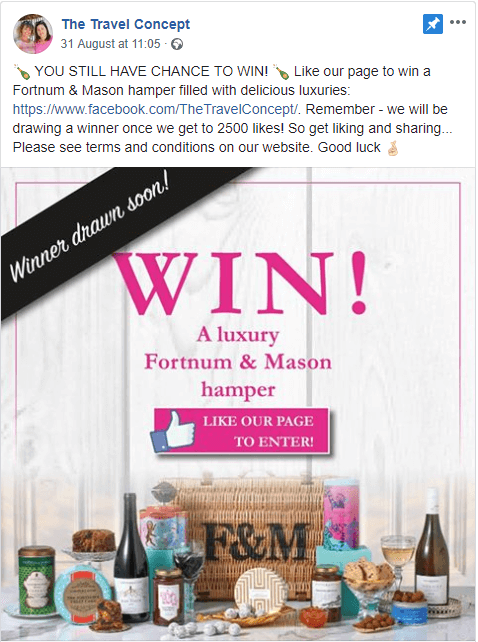 Competitions are a great way to increase your page’s likes and engagement (as well as potentially collecting email addresses). So make sure you do it right! Do you know the rules for competition entry? To ask people to comment with a friend’s name as a way of entering – such as ‘To enter, tag a friend who you would share this spa break with’. This is also known as engagement bait, see our blog to find out more. However, at the end of the wording for your competition post you could always add ‘Feel free to share’ or ‘Please share’ as you’re not explicitly saying you must do this to enter. It always helps! You should have specific terms and conditions for the competition. 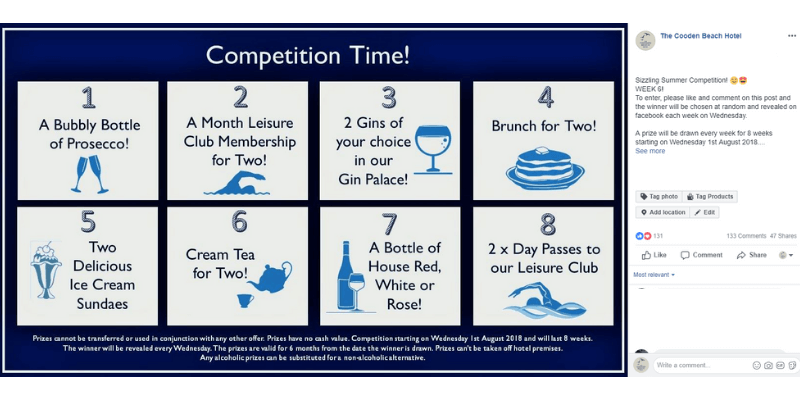 The T’s & C’s can be added to your website and you can just mention ‘Please see terms and conditions on our website’ in the post with a link to them – perhaps within a blog detailing the competition. Alternatively, if the text or image for the post includes the terms and conditions this is fine too – see the third example below which demonstrates this. 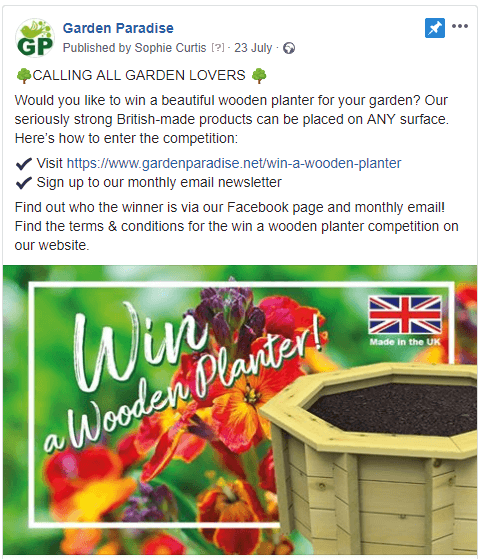 Here are some examples of competition posts with a range of approaches including liking a page, a post and signing up to a newsletter as means of entry. Note: It is permissible under GDPR to incentivise people to sign up to your newsletter with a competition (or discount voucher etc). Use emojis and think about text layout in your post ???? Good luck with your competitions, if you have any questions please get in touch.